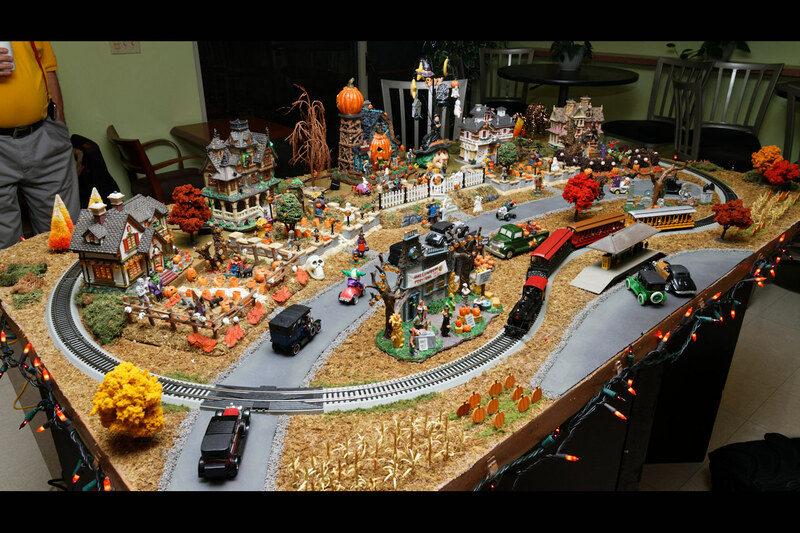 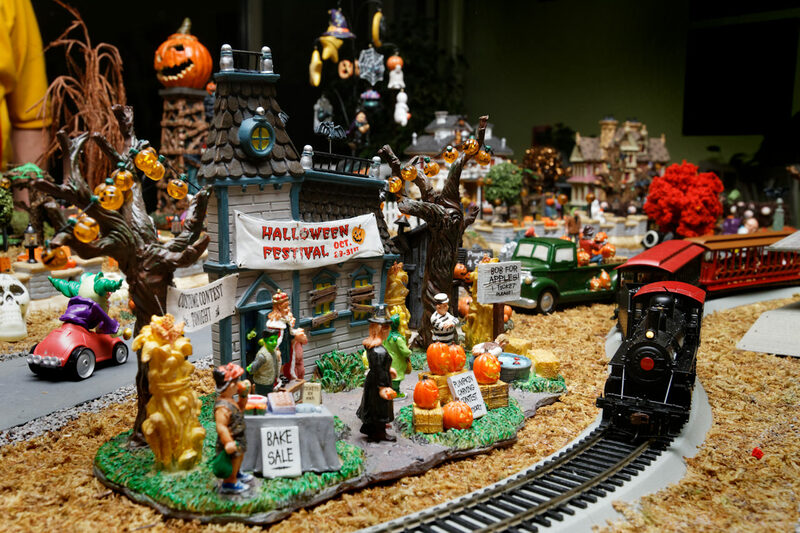 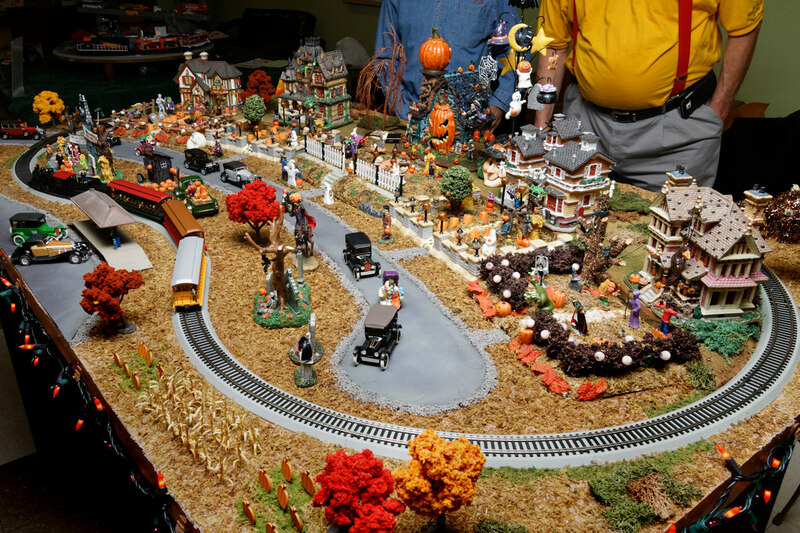 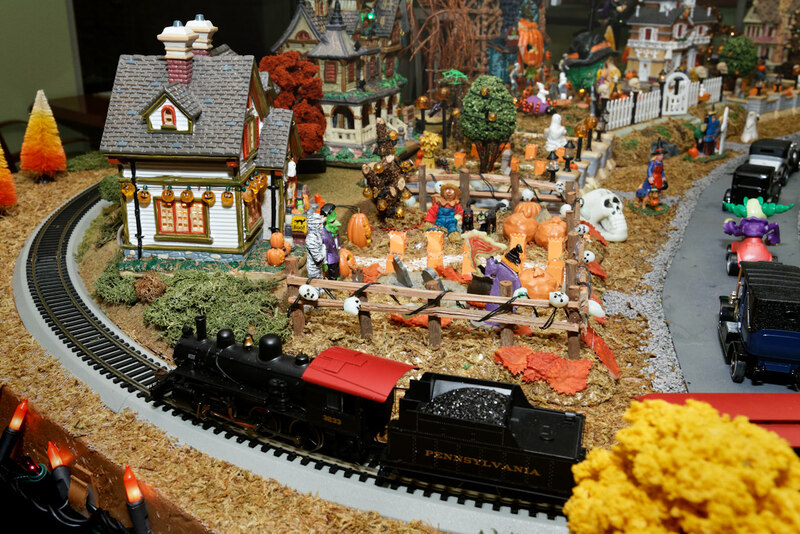 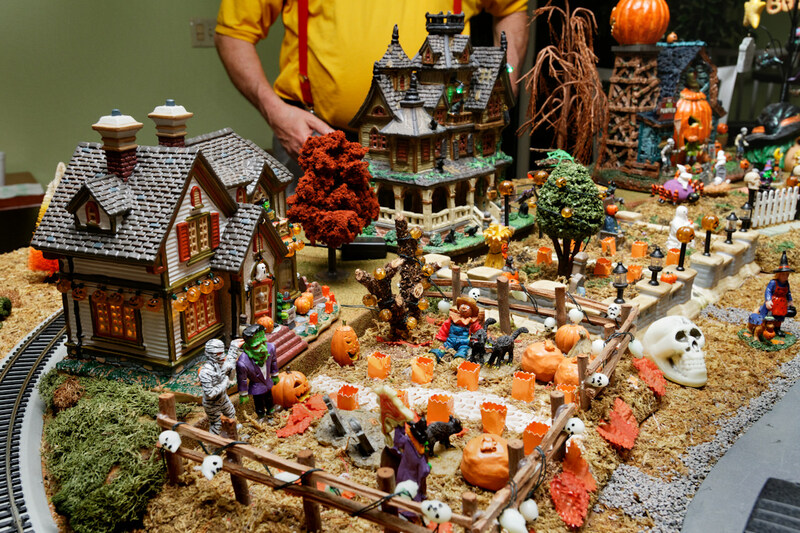 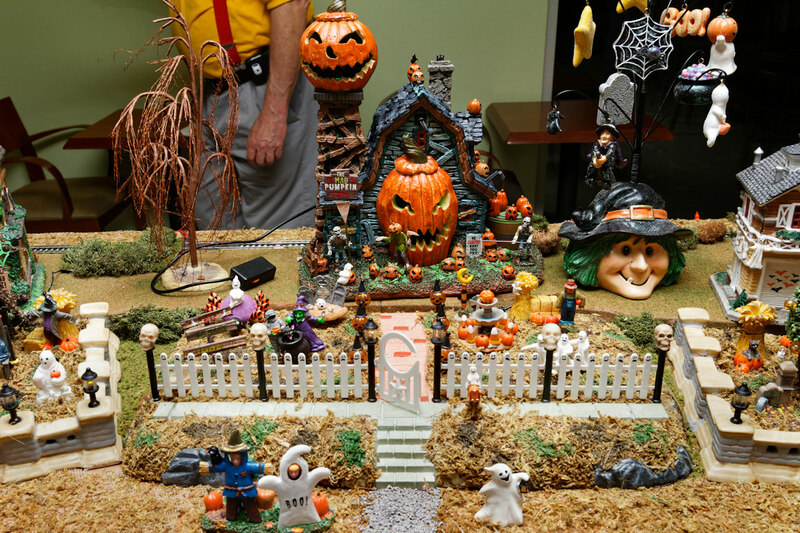 Glenn Koproske, of the Mississippi Valley N Scalers, displayed his HO scale “Halloween Fright Fest Layout” at the recent Gateway NMRA St. Louis train show. 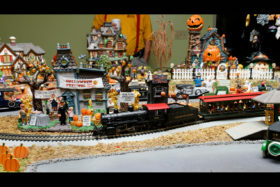 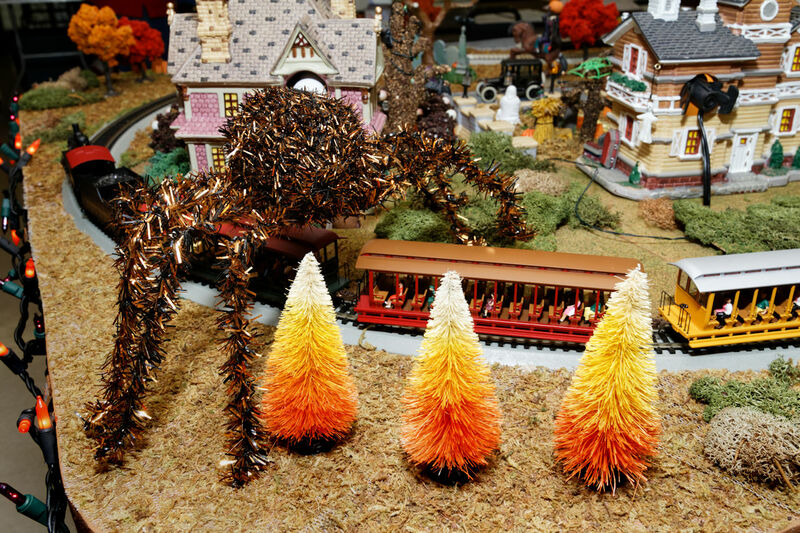 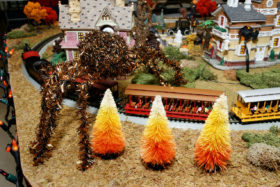 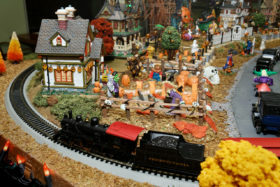 This layout has been displayed at a number of area shows, the Iron Spike Museum and at Mark Twain Hobbies, and always draws a crowd. 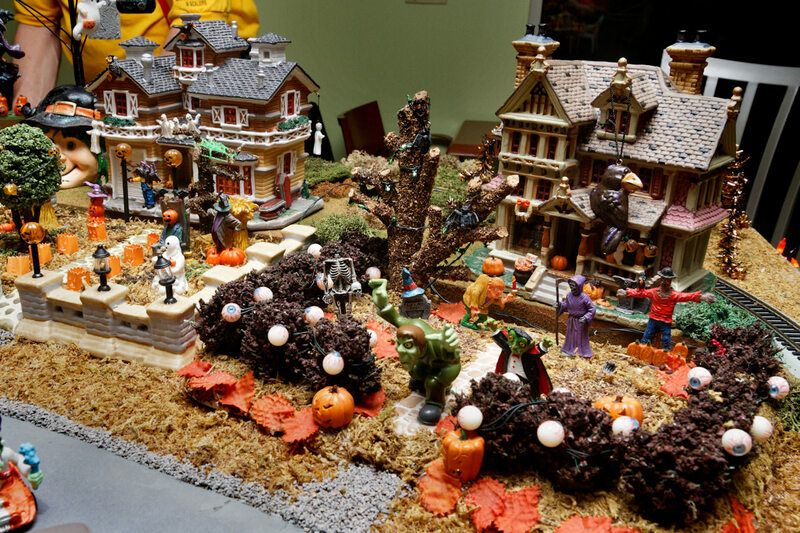 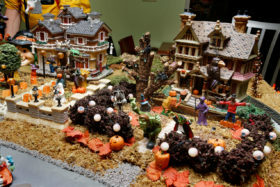 The Halloween front yards and buildings came from a garage sale in Ballwin. 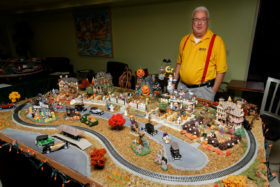 Glenn’s wife, Mary, helped with the design and Jerry Smith helped with the build. The layout was built in only six weeks on 2-inch foam board; a 4’x8′ sheet was cut down in size to fit inside Glenn’s small SUV. 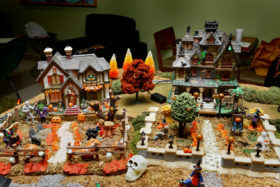 The hills are shaped foam board layers glued to the main layout with Glidden® Gripper Primer. 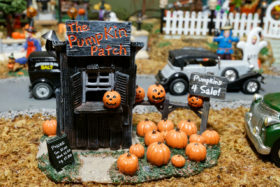 The supporting display base is also made of 2-inch foam board, designed for the pieces to interlock on site for easy setup and tear-down.